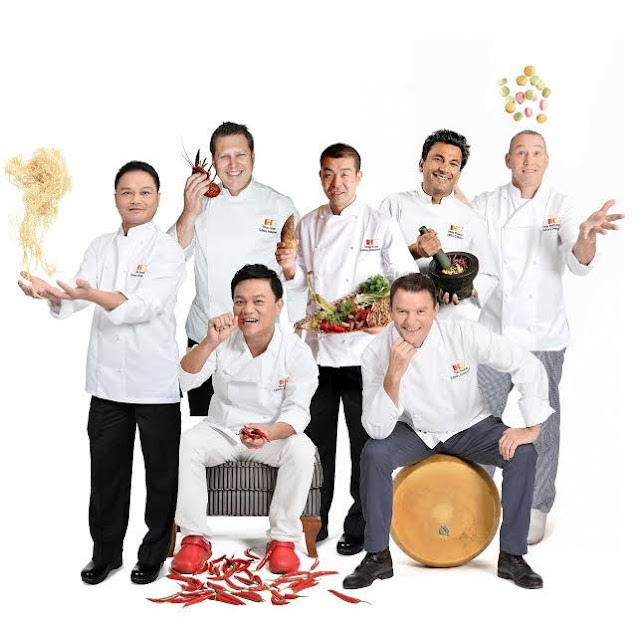 More gastronomy awaits as Intercontinental Kuala Lumpur unveils their latest culinary promotion of IHG Culinary featuring 7 celebrity chefs and their repertoire of dishes, available from 17 August to 15 November, 2015. The IHG Culinary menu changes every two weeks, each time with one of the seven Culinary Ambassador’s two or three course menu served in Serena Brasserie, Tao Chinese Cuisine or Tatsu Japanese Cuisine. *Guests will be able to experience a unique excursion with ‘The Global Baker’ Dean Brettschneider and the InterContinental Kuala Lumpur hotel’s executive chef, Sam Kung, as a speciality menu will be created in pairing between Kung and Brettschneider, for the eleventh week of the IHG Culinary Journey promotion (26 October to 1 November 2015). Check out a sneak peek at the three course menu by Asia’s celebrity Chef Sam! Crispy Fish Sea Garoupa in Homemade Superior Light Soy Sauce, traditionally a classic favorite way to prepare fresh fish. Enjoy the individual portion or a whole fish for a larger party. Wok Fried Chicken with Homemade Black Pepper Sauce, Ginger & Spring Onion, deliciously tender chicken pieces sautéed in an unctuous peppery sauce that beckons for rice. Chilled Mango Pudding, a fruity sweet ending with mango taking the limelight! Experience the signature dishes from the IHG Culinary Panel at the InterContinental Kuala Lumpur hotel today. For more information or to make a reservation, visit the hotel’s website at intercontinental-kl.com.my, contact the hotel directly at +60-3-2782 6000 or email foodandbeverage@intercontinental-kl.com.my. Tao Chinese Cuisine is a pork-free restaurant and is open daily from noon to 2:30 pm for lunch and 6:30 pm to 10:30 pm for dinner. These selections from the Chinese cuisine sure look great. I usually prefer the fish steamed, but this one looks very good too.